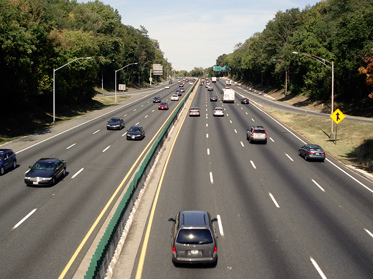 RJM has been providing engineering services for planning, preliminary and final design of road and highway projects for over two decades throughout the Baltimore/Washington and Mid-Atlantic regions. 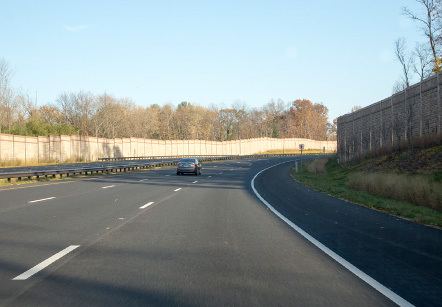 Clients we have served are the Federal Highway Administration, Maryland State Highway Administration, Virginia Department of Transportation, Delaware Department of Transportation, and many counties and local jurisdictions. Our broad range of expertise covers design development, highway design, structural design, hydrology/hydraulics, traffic engineering, value engineering and construction management. RJM Engineering provided project planning and preliminary engineering as a sub-consultant for three sections of the Inter County Connector (ICC), a new 18.6 mile four-lane divided toll highway. Preliminary design included developing alternative alignments for intersecting secondary roadways to be affected by the ICC alignment, as well as various bridge and retaining wall designs. RJM Engineering also identified potential locations, preliminary sizing of stormwater management facilities for quality and quantity control, and drainage for each alternative, and prepared design and construction cost estimates. During the design-build phases of the project and as part of the GEC team, RJM provided on-site geotechnical inspection, roadway and stormwater management construction oversight and inspection, hydrologic/hydraulic reviews, and administrative support. As part of the GEC team’s Environmental Stewardship efforts, RJM provided preliminary engineering and final design for drainage and stormwater management facilities at five sites. 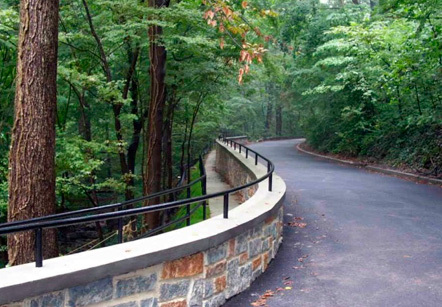 As part of the ICC team’s Community Stewardship efforts, RJM provided final design for Redland Middle School Trail at the intersection of MD 115 and Olde Mill Run to improve stopping sight distance, pedestrian and vehicular traffic safety, and community-oriented streetscape. RJM provided trail, plans, and profile, intersection details, erosion & sediment control plans, signing and pavement marking, maintenance of traffic plans, specifications and cost estimate for the selected alternative. RJM also prepared designs and construction details for way-finding signs at 50 locations. Designs were completed for the PI, Semi-Final, Final and PS&E stages, and signs within the ICC mainline were designed to comply with the Tourist Area Corridor criteria. RJM also provided engineering support during the construction phase. As part of an I-695 widening project, RJM Engineering, Inc. was responsible for a 2-lane roadway section from Ingleside Avenue to South of MD 144. 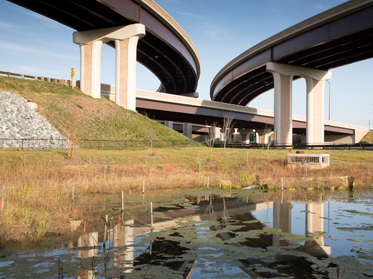 RJM provided geometric and roadway design, Edmondson Avenue interchange ramps, and vertical alignment adjustments up to the Preliminary Investigation (PI) plans. Cross sections were developed for two options to evaluate impacts of I-695 widening on right-of-way. One option consisted of providing graded shoulder beyond the roadway widening to meet existing ground. The other option considered a retaining wall at the edge of the widening to reduce impacts and minimize right-of-way impacts as needed. Preliminary cost estimates for each alternative were provided. RJM subsequently provided final design from Ingleside Avenue to South of MD 144, including geometrics and roadway design, new pavement construction, and pavement overlay where existing pavement was retained. Design services also included widening and vertical alignment adjustments for Edmondson Avenue interchange ramps. RJM also prepared detailed plans showing horizontal geometry of the centerline and profile for Edmondson Avenue and Ingleside Avenue bridges. Stormdrains were designed to accommodate three stages of construction for maintenance of traffic plans during construction. MDE coordination and permitting services were provided, including design and obtaining permits for stormwater management, erosion/sediment control, and stream restorations. RJM was responsible for the preliminary engineering and final design of McKenzie Road between MD 99 and Ashbrook Drive. The roadway was designed as a 2-lane, closed curb and gutter section with a concrete sidewalk on the north side with ADA facilities. Other design features included design of a new roundabout at the intersection of McKenzie Road and Ashbrook Drive and center-medians at two locations along McKenzie Road for traffic calming. A new closed storm drainage system was designed and existing outfalls that were severely eroding were stabilized. Final design included signing and marking plans to include crosswalks and lane striping, erosion and sediment control plans, stormwater management waiver report, staged traffic control plans to facilitate phased construction, right-of-way impacts and public presentation. In addition to the geometric improvements, the need for traffic calming was stressed by stakeholders during public meetings. 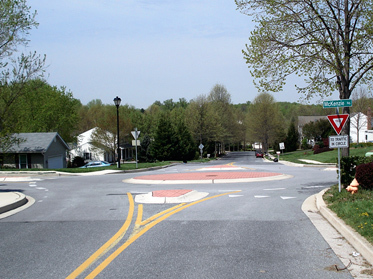 RJM Engineering staff worked closely with the Project Manager at Howard County DPW to develop the design of center medians and a roundabout. The designs were effectively coordinated with homeowners and final design of the traffic calming was completed and incorporated in the final contract package without any delay to the advertisement for the project. Does your project require a quality MBE/DBE? Look no further. We've got you covered. © Copyright 2017 RJM Engineering, Inc.
RJM Engineering, Inc. ensures nondiscrimination in all programs and activities in accordance with Title VI of the Civil Rights Act of 1964. If you need more information or special assistance for persons with disabilities or limited English proficiency, contact our Human Resources Department at (410) 730-1001 (TTY/TDD users, call 711).